In the Later Han period the region covering the modern provinces of Gansu, southern Ningxia, eastern Qinghai, northern Sichuan, and western Shaanxi, was a porous frontier zone between the Chinese regimes and their Central Asian neighbours, not fully incorporated into the Chinese realm until the first century BCE. Not surprisingly the region had a large concentration of men of martial background, from which a regional culture characterized by warrior spirit and skills prevailed. This military elite was generally honoured by the imperial centre, but during the Later Han period the ascendancy of eastern-based scholar-officials and the consequent increased emphasis on civil values and de-militarization fundamentally transformed the attitude of the imperial state towards the northwestern frontiersmen, leaving them struggling to achieve high political and social status. From the ensuing tensions and resentment followed the capture of the imperial capital by a northwestern military force, the deposing of the emperor and the installation of a new one, which triggered the disintegration of the empire. 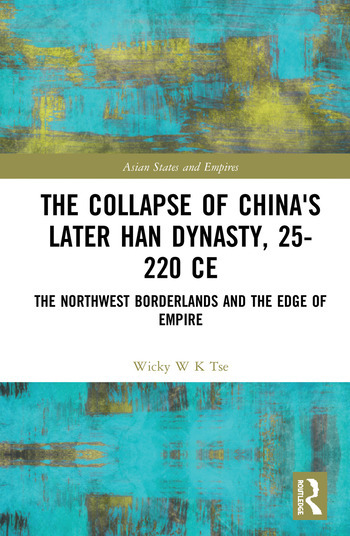 Based on extensive original research, and combining cultural, military and political history, this book examines fully the forging of military regional identity in the northwest borderlands and the consequences of this for the early Chinese empires.